GFA World staff and students headed out early on Saturday morning, April 28th, 2018 to the Hamilton Beach Rescue Unit, for their 11th Annual Team up to Clean Up event. 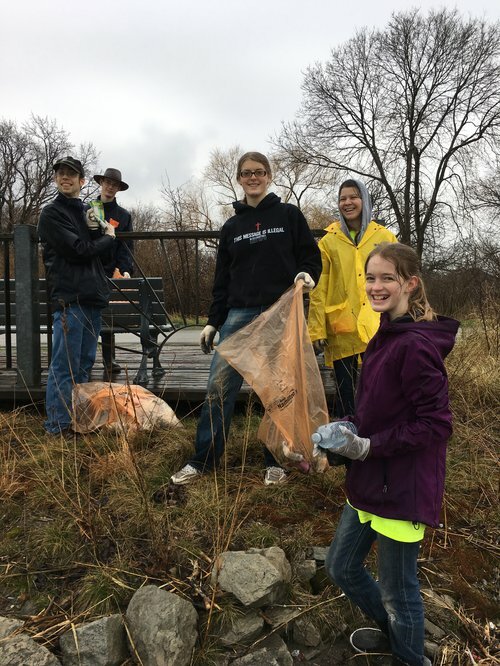 Team Up to Clean Up is a city-wide community cleanup program that attracts more than 20,000 enthusiastic volunteers across the city, each year. The City of Hamilton's Keep Hamilton Clean and Green Committee supports residents and community groups to help keep their neighbourhood, park, trail or alleyway clean by providing gloves, specially marked garbage or recycling bags and graffiti wipes. 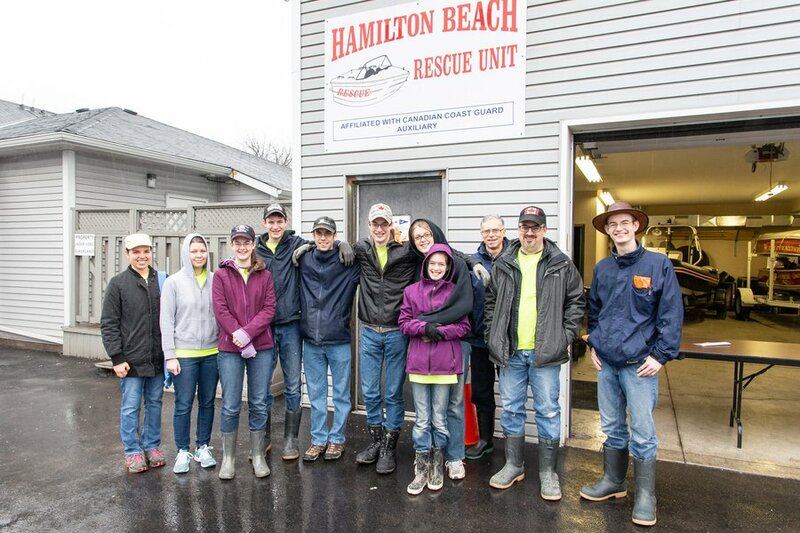 A group of local volunteers assembled at the Hamilton Beach Rescue Unit at their headquarters on Beach Boulevard to collect their garbage pickup supplies: free gloves and orange garbage bags. From there they spread out along the Lake Ontario beach and spent the morning cleaning up the shoreline. After a morning of hard work volunteers returned to the Rescue Unit for free hot-dogs and coffee from the event’s sponsor Tim Hortons. Councillor Chad Collins who was there as the City of Hamilton's representative, was grateful for everyone who came out to help clean up their community.